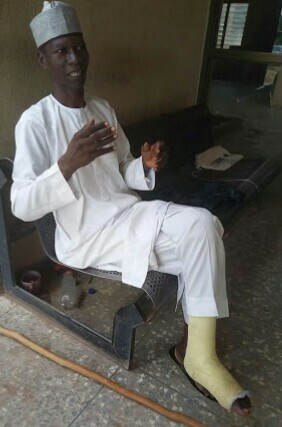 Abubakar Duduwale who trekked from Yola to Abuja to congratulate President Buhari over the 2015 election victory, is currently incapacitated and in need of help after developing serious leg injury. He is in Yola at the moment, hoping for help. Nigerian man celebrates narrowly escaping being killed by a drunk policeman in Lagos. Evolute debuts enterprise container migration and management platformTop 10 Debt Consolidation Facts: Is It Your Way Out?